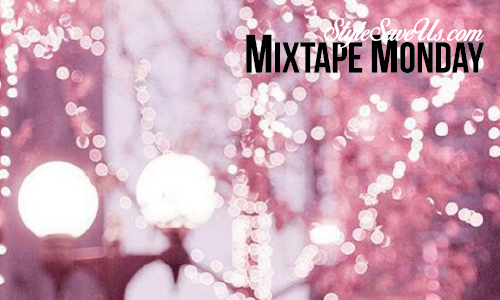 Welcome to Mixtape Monday, the holiday mix, with not one damn holiday song. Kicking it off Glass Gang is how you spell underrated. Make friends here. Long time fav, Magic Man, out of Boston, Mass, is how you spell legit. Nice website guys. Sounding like Tame Impala recorded in your parent’s garage (Tame Impala as it’s their bass player), Nicholas Allbrook presents 100 k’s ’round Carmel. Which I keep reading as Camel 100s. Don’t smoke; it’s lame. Where is Chad VanGaalen? Calgary, Canada. Oh the snow. And the great art on his facebook page. X Priest X, welcome to the girl dance club. Charlie XCX, Chvrches and Haim are so pumped to have a new potential opener. In the same office christmas dance party, get the f*ck of your cubical spirit – Harts, with “Angels Walk Below”. 70s vibe. Where’s the disco ball? Oh, right above me. And when you need a break from said dancing, Radiation City’s ‘Babies’, off album The Hands That Take You. But then you should definitely get back at it. And this Marvin Gaye remix will make it happen. The Mercury Edit II. Also on my prediction list for staple in the opening hours of any music festival in 2015. Ronya. Make (early adapter) friends here. Lastly trance-out with London based Kaleida. 4. Chad VanGaalen – Where Are You?